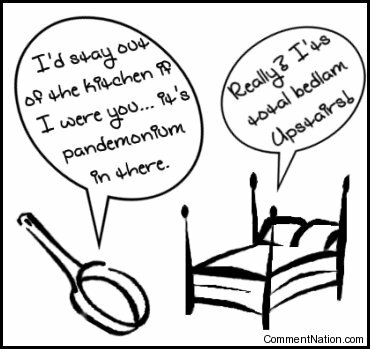 If you like bad puns, you'll LOVE this funny joke: The Pan Says: I'd stay out of the kitchen if I were you... It's pandemonium in there. The Bed Says: Really? It's total bedlam upstairs!